Add some zing to any culinary repertoire with this specially prepared peach relish. 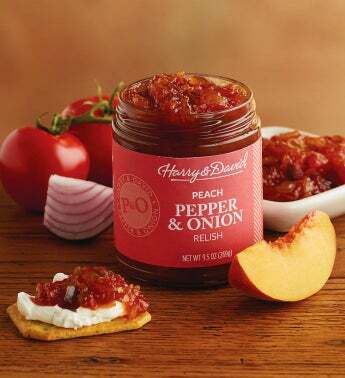 Sweet, succulent peach mingles with spicy jalapeño and horseradish to create the perfect gourmet sauce, perfect for transforming mild dishes into surprising banquet standouts. This relish can even work as a dessert sauce for the more adventurous chef, lending a renewed seductive flair even to established favorites.